In case anybody is still interested in the ito project (old Alternative for PID thread), the current status of that poject and the leva! 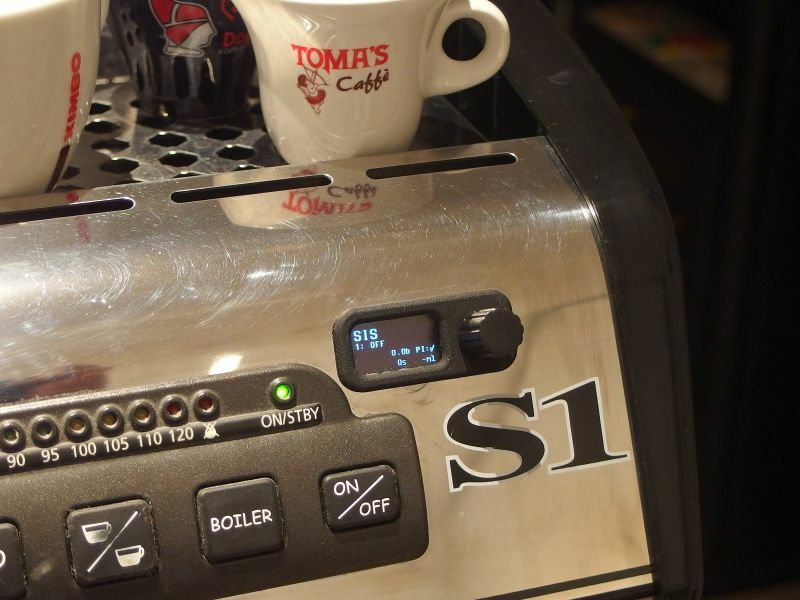 firmware (for PID, Pressure Profiling, dosing) is summarized in English here. leva! might interest you because it uses a different kind of pressure profiling than other solutions for vibratory pumps: It does not manipulate pressure by leaving out some strokes of the pump and performing all other strokes with full power. Instead, leva! modulates the power of each stroke. This leads to smoother pressure curves. Would this work on a Spaziale Mini Vivaldi II? Unfortunately not available outside of the EU. I have family in EU who could purchase it. Would it be still supported if I brought to the US? You'd have to have the electrical/electronics knowledge to convert it from 220v-240v 50Hz to 110v-120v 60Hz. (The voltage is relatively easy, the frequency - if it uses line frequency for timing - less so.) If you have that knowledge, then I suspect that you'll be your own support . Actually, the voltage doesn't matter, the module's HLK-PM01 is an all-voltage power supply. The only electrical issue would be the kit's 1mm² (AWG17) leads for the external relay. Sufficient for Europe, where 1200W means 5.2A, but 110V machines usually require thicker leads, e.g. AWG14. On the firmware side, 60hz instead of 50hz probably is a deal breaker for the phase-fired controller in the firmware and thus pressure profiling. It would have to take the different voltage timings into account. While some attempts have been made to that end (waveform is sampled), there was no way for the developers to test it. It's quite likely that it might not work at all or work badly. Therefore, using it with 60hz is not recommended. Sorry. > Would this work on a Spaziale Mini Vivaldi II? I've seen it installed in a Vivaldi, but only for pressure profiling (next to the original controller, which still did temperature control and the rest). The solution for the display was a 3D-printed bezel. The pump output of the original controller was connected to the SNS input of ito. For the firmware, mains voltage at SNS is a signal to start the pump at ito's relay #1. Thus ito was threaded into the controller-to-pump connection to add pressure profiling. The solenoid valve remained connected to the original controller (downside: no dosing with the added module). 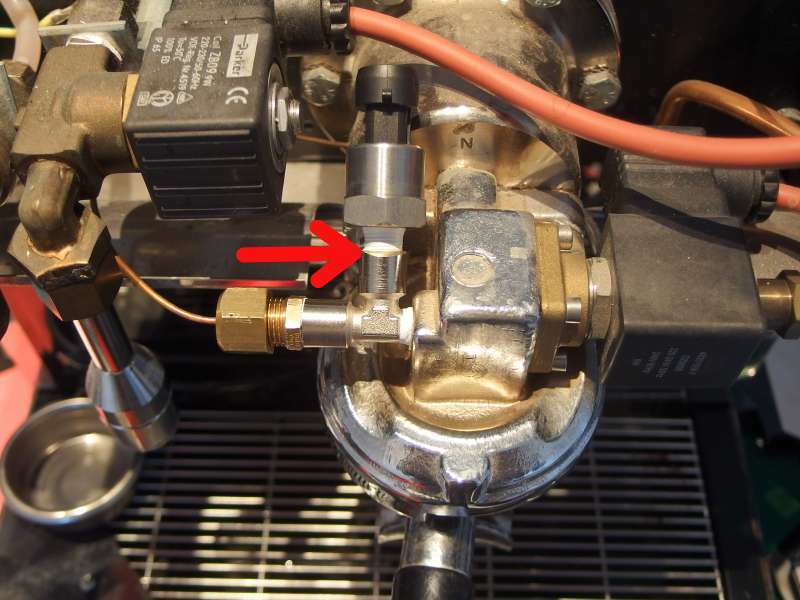 The pressure sensor was installed at the grouphead, where suitable threads are available. That's a position after the solenoid, so it reads 0bar if the machine is not in use - instead of boiler pressure. Useful in this case because it means that pressure profiling can be set to kick in at 0.7bar. Thus, any use of the pump by the original controller to refill the steam boiler is not subjected to pressure profiling (solenoid off -> 0bar at sensor -> no pressure profiling). Thank you for the detailed explanation. Oh, it's unfortunate it does not work for machines sold in the US as I would buy the kit right away. Does somebody in the US sell something similar? Voltage doesn't matter, the module's HLK-PM01 is an all-voltage power supply. The only electrical issue would be the kit's 1mm² (AWG17) leads. Sufficient for Europe, where 1200W means 5.2A, but 110V machines usually require thicker leads, e.g. AWG14. Any plans to develop a similar module for the US market? > Any plans to develop a similar module for the US market? The hardware doesn't require additional development (should run fine; shipping different leads wouldn't be a big deal). The problem lies on the firmware side. Sorting out if the firmware works with 60hz pumps, testing its performance and improving it, doesn't seem to be possible if the developers don't have a socket with 110V/60Hz. Affordable frequency & voltage converters/generators (for example a UPS) do not produce a real sine-wave, which would be required, just something resembling it - sinusoidal, if not an outright square wave. That wouldn't work. Last but not least, who knows what is required on the legal side (UL marks and such) if a company exports to the US? Probably prohibitively expensive for a product sold in low numbers. It makes sense. However, I'm still surprised we don't have something similar in the US.